Personalize your prints with your design. Logos, messages, images, and slogans. 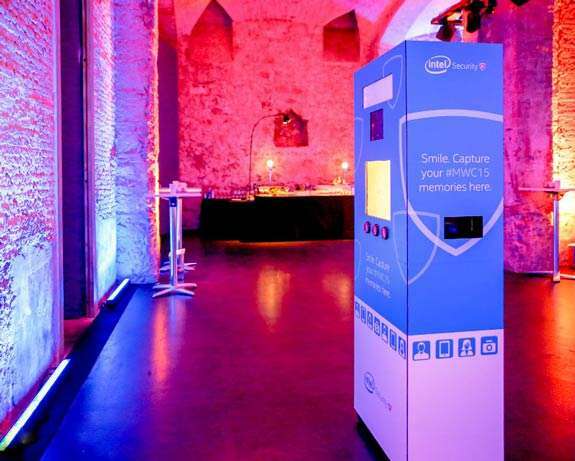 Rent a photo booth for events and personalize all of the service according to your needs and brand. Have your attendees take with them a great memory with your brand. Maximize the event on social networks and take your prestige up a step. Add a completely personalized photo backdrop to your event as part of your photo booth service. Reinforce your brand on the backdrop and obtain some great quality photos. 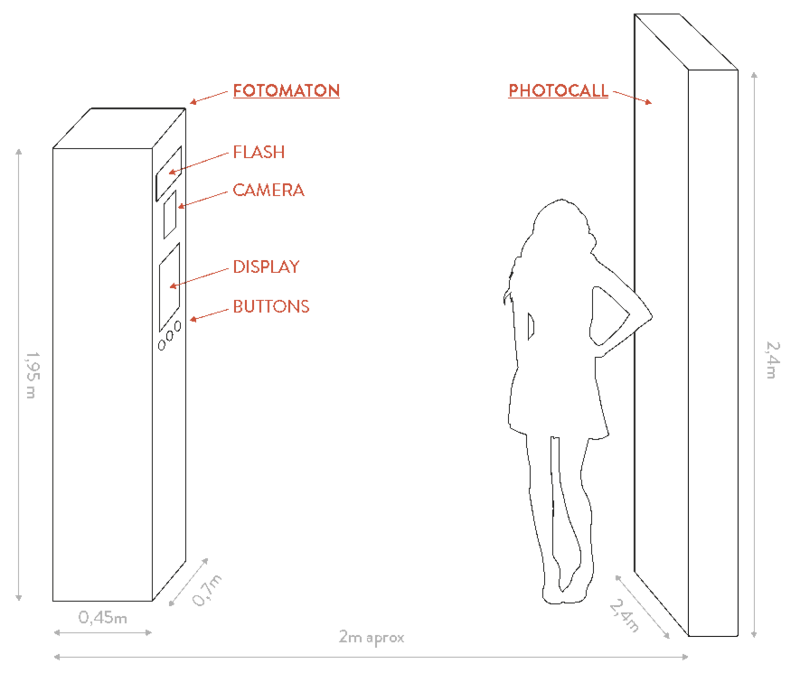 At Fotomaton Barcelona ®, we offer two types of backdrops. Both made of anti-glare material for the flash. Easy Model, the most economical, made of canvas. Pop-up Model, the largest backdrop, made of cloth. Completely personalize all of the photo booth prints. Personalized prints make a greater impact on the attendees. Ask for our templates to create your design. Two printing formats: 5x15cm strips or 10x15cm photos. Design the template according to your event. Design the template 4 x 6” according to your event. Design the strip template 2 x 6” according to your event. In addition to the prints, synchronize the digital content with social networks. Achieve with your event a greater impact by publishing what happens in the photo booth. Completely personalize the photo booth for your event. An essential option for corporate events. 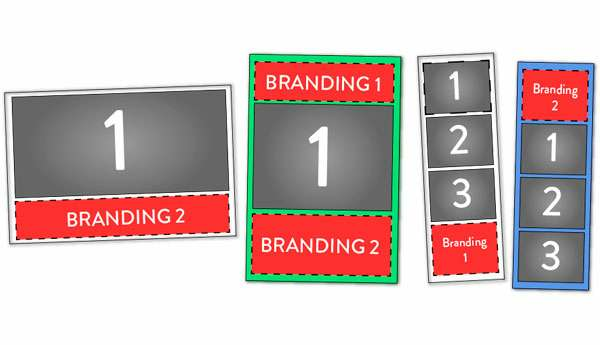 Strengthen the brand, decorate, or explain the instructions of your action. Possibility of personalizing individual faces or all the photo. Fotomaton Barcelona lets you personalize all of the surfaces. Ask for the template, send us the design, and we will take care of the rest. Get customized photography service and let your guests print right away their copies. Maximize a hashtag and print easily and conveniently with the Instagram printer.